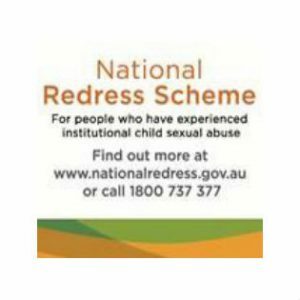 The Congregation of the Sisters of Charity has committed to join the National Redress Scheme, which provides acknowledgement and support to people who experienced institutional child sexual abuse. A direct personal response from the institution (eg: an apology) for people who want it. The Congregation of the Sisters of Charity has applied to join the scheme as a participating non-government institution. This means that people who were abused in the care of the Sisters of Charity can apply to the Scheme for redress. Free and confidential Redress Support Services are available throughout the process. They can help explain the scheme and who can apply. For more information, visit www.nationalredress.gov.au or call the National Redress Scheme line on 1 800 737 377.